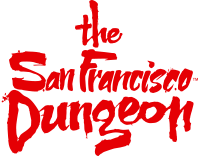 What is the history behind the San Francisco Dungeon? Can I hold a Corporate Event at the San Francisco Dungeon? Can I host an event at the San Francisco Dungeon? How do I book an event at the San Francisco Dungeon?